At the time I made my debut film in 2000, it was a very special time for me. I made my debut in the same year as director Bong Joon-ho and 2000 was also the year director Park Chan-wook made a very successful film [Joint Security Area] and Kim Jee-woon released The Foul King. For me, working at the same time as such competent directors who make very good films is very helpful in creating “face-makers” in the film industry. As I watched their films, I would learn and it would also give me the motivation to make better films, but it also caused me some suffering that I was living at the same time as such talented directors. At the end of the day, each of us has our own past and it’s an interesting journey. I don’t ever particularly have thoughts about leading the industry but we do, as directors, get together from time to time and talk about each other’s films. Besides directing, Ryoo does a lot of screenwriting, particularly for his own films. Ryoo Seung-wan acts in some his own films. And in a few other films, like Park Chan-wook's Sympathy for Mr. Vengeance (2002) and Sympathy for Lady Vengeance (2005). Ryoo's brother, Ryoo Seung-bum appears in good chunk of Ryoo Seung-wan's films. In fact you can see Ryoo Seung-bum in this little taste of Ryoo Seung-wan's very guerilla first feature, Die Bad (2000). No Blood No Tears (2002) is heist film billed as "a new type of film noir." Cab driver and former safecracker Kyeong-seon (Lee Hye-yeong) is sick and tired of being harassed by jerks in her cab. Su-ji (Jeon Do-yeon) is tired of her gangster boyfriend. Together the two women decide to make some quick cash and get some revenge. I'm down with all of it. In Arahan (2004), a young cop, played by Ryoo Seung-bum discovers that he has some powerful chi and a heroic destiny. Also, there is a restaurant fight, because every martial arts movie should have a restaurant fight. The action choreography owes a lot to Hong Kong cinema, even while maintaining a lot of the realism of Ryoo's other films. I guess what I mean is: it's not as brutal as a lot of realistically violent Korean films. Crying Fist (2005) is Ryoo's boxing melodrama, starring Choi Min-sik (Oldboy; I Saw The Devil; Lucy) as an Olympic boxer down on his luck. (Because this is a Korean film, Choi's Tae-shik is a silver medalist, not a gold medalist). 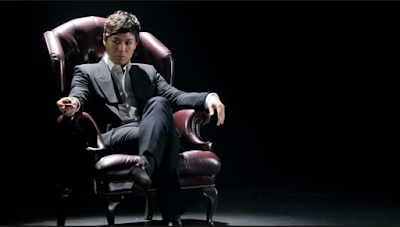 Tae-sik is making money through streetfighting, and not the cool kind. Ryoo Seung-bum plays a kid in juvenile detention who needs to get his life straight and sees boxing as a way out. Also, there is cancer. Because this is a boxing melodrama. (Though it could have a widow or an orphaned kid or both and Wallace Beery). In City of Violence (2006) two men decide to go after the men who killed their friend. One, a policeman, is investigating the murder. 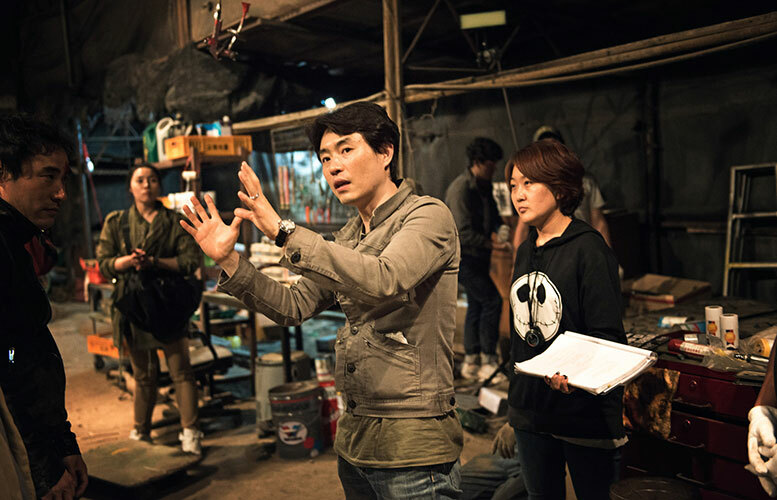 The other, played by Ryoo Seung-wan himself, wants to kill every member of the gang. But because this is a Ryoo Seung-wan movies, it's more complicated than that. Much more complicated. Also, there's another sweet restaurant fight. Ryoo Seung-wan turns his attention to corruptio in the justice system with the aptly named, The Unjust (2010). When five girls are raped and murdered, the president demands the police resolve the case. The police make political decisions. There are dirty prosecutors. Blackmail. Murder. And innocent people are framed. No one tell Vampire Prosecutor. Vampire Prosecutor is handsomely disappointed in the criminal justice system. North and South Korean spies play a game in Ryoo's most John Le Carre thriller, The Berlin File (2013). When North Korean spy Pyo Jong-seong (Ha Jung-woo) becomes convinced he's been set up by his own government, he and his wife, Ryun Jung-hee (Jun Ji-hyun) who's a translator at the North Korean embassy, go on the run. Look at the black leather trenchcoats! Berlin! Surveillance vans! Roof top battles! And Ryoo has a short in the Mad Sad Bad 3D horror anthology film. Ryoo's segment is called, "Ghost." So basically Ryoo Seung-wan has done every kind of film. Except for a romantic costume drama, but if he's done a boxing melodrama, a romantic costume drama's got to be coming soon.